Do GOP Donors Want Their 2018 Election Contributions Used on Recalls? 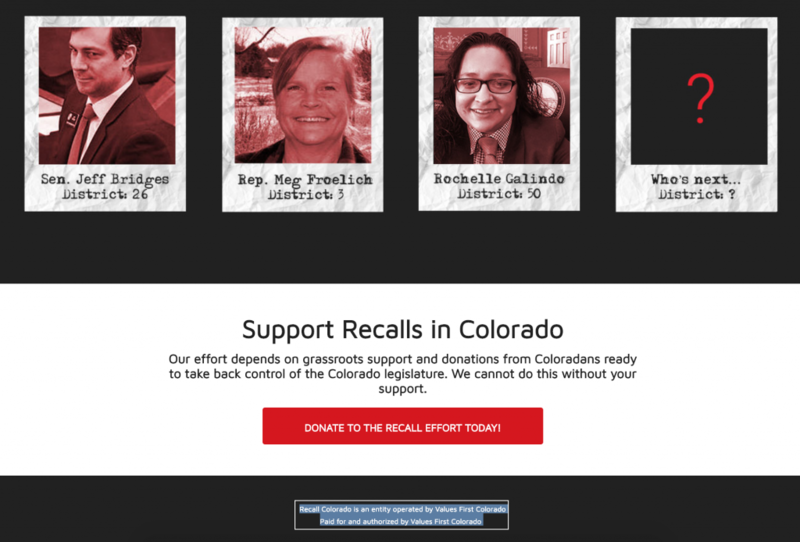 At least one major donor to the Colorado House Republicans’ 2018 election campaign doesn’t want its leftover money going to fund recalls. Xcel Energy is among dozens of companies that donated at least $5,000 to Values First Colorado, the House Republicans’ “caucus fund” committee, which aims supports GOP candidates running for the Colorado state house. Responding to a request for comment, Xcel Energy made clear the expectation was for its donation to go towards 2018 general election expenses. 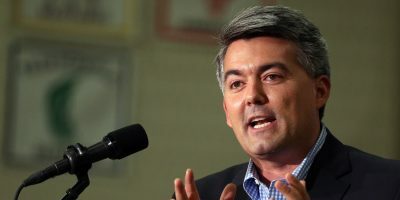 Calls to other donors including Anadarko Petroleum, The Colorado Gaming Association, Friends of Colorado Hospitals, and the Colorado Home Builders Association, were not returned. Ready Colorado and Colorado Ski County USA declined to comment. 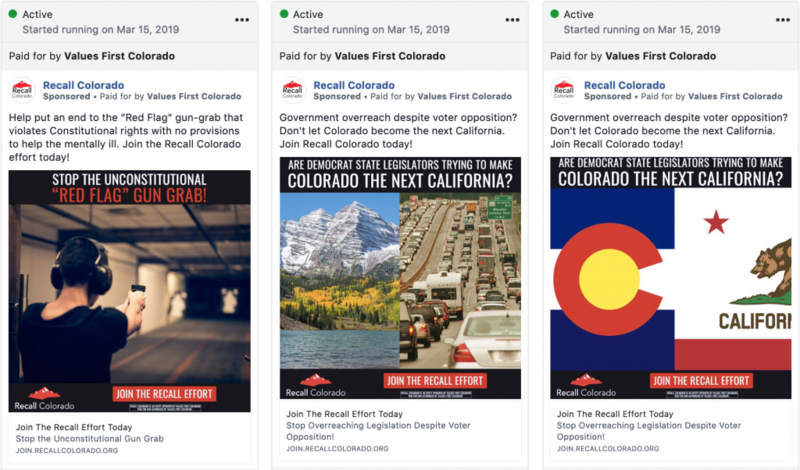 As reported by Marianne Goodland of Colorado Politics, Values First Colorado (VFC), and other committees connected to it, closed out the 2018 election cycle with hundreds of thousands of donors’ dollars sitting unspent in bank accounts. After raising $1.214 million, the Values First Colorado caucus-fund committee and its related IECs left ending balances of $305,961, just over a quarter of what the GOP House caucus raised for the 2018 election. 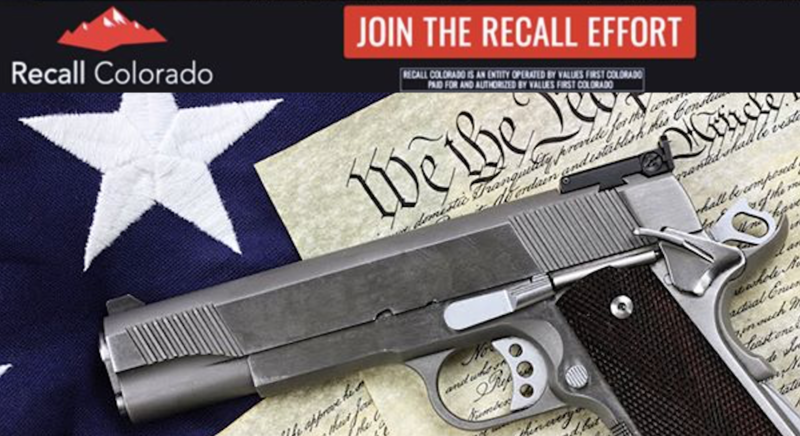 Last month VFC launched a website promoting possible recalls of at least two state lawmakers, Rep. Meg Froelich (D-Englewood) and Sen. Jeff Bridges (D-Greenwood Village). The site has since added a third target, State Rep. Rochelle Galindo (D-Greeley). 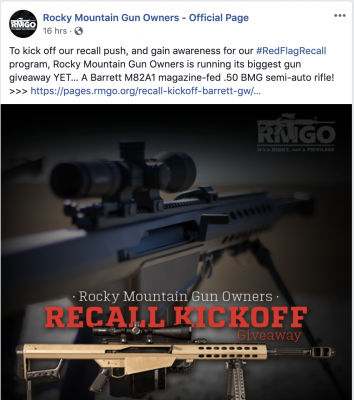 VFC is also running paid Facebook ads promoting the website using a variety of issues, from specific bills such as Oil & Gas Public Safety bill and the Extreme Risk Protection Order or “red flag” bill, to the broad subjective claim that Democrats are turning Colorado “into California.” According to Facebook’s political ad information, the VFC is paying for 75 active ads. “Yes, some of the donors are. We have plenty of donors who do know what we’re doing with this. We don’t plan on spending every penny into this, but we are going to spend what it takes to get things done. Our goals are to make sure we have the tools available and the resources available for people in the grassroots who choose to put up a recall, if it makes sense for the organization and for being good stewards for our donors. If it helps the cause of getting back the majority and there’s reason for it, then we’ll be there to help people. Jason Salzman contributed to this post. Home › Forums › Do GOP Donors Want Their 2018 Election Contributions Used on Recalls? This topic contains 0 replies, has 1 voice, and was last updated by Erik Maulbetsch 3 weeks, 3 days ago. 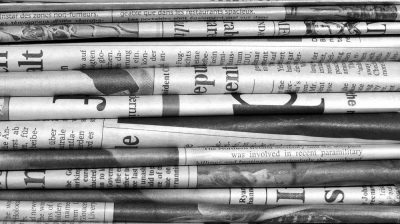 Posted a new article: Do GOP Donors Want Their 2018 Election Contributions Used on Recalls?